What is the CAPEX to Operating Cash Ratio? The CAPEX to Operating Cash Ratio assesses how much of a company’s cash flow from operations is being devoted to capital expenditureCapital ExpenditureA Capital Expenditure (Capex for short) is the payment with either cash or credit to purchase goods or services that are capitalized on the balance sheet. Put another way, it is an expenditure that is capitalized (i.e. not expensed directly on the income statement) and is considered an "investment". Analysts view Capex. Such investments entail engaging in capital-intensive projects such as expanding a production facility, launching a new product line, or restructuring a division. The CAPEX to Operating Cash Ratio is a financial risk ratio that assesses how much emphasis a company is placing upon investing in capital-intensive projects. Ideally, the projects that a company chooses to pursue show a positive NPV Net Present Value (NPV)Net Present Value (NPV) is the value of all future cash flows (positive and negative) over the entire life of an investment discounted to the present. NPV analysis is a form of intrinsic valuation and is used extensively across finance and accounting for determining the value of a business, investment security,even with worst-case assumptions regarding the discount rate used, the tax rate, or revenue growth rate. The ratio is generally a good gauge to quantify how much focus on growth a company has. Typically, smaller companies that are still growing and expanding have a higher CAPEX to Operating Cash Ratio, since such businesses are likely investing more in R&D. Lower ratios could indicate that a company has reached maturity and that it is no longer pursuing aggressive growth. 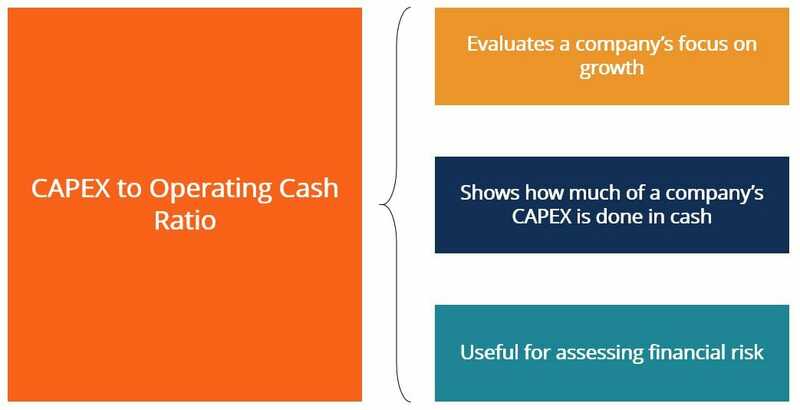 How can we calculate CAPEX to Operating Cash Ratio? Cash flow from operations – refers to the magnitude of cash flows that the business generated from operations during the accounting period. 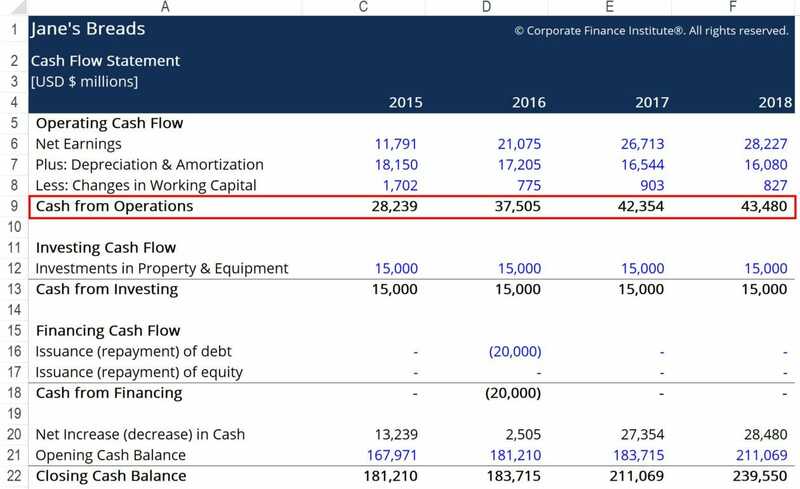 The figure is found in the statement of cash flowsCash Flow Statement​A Cash Flow Statement (officially called the Statement of Cash Flows) contains information on how much cash a company has generated and used during a given period. It contains 3 sections: cash from operations, cash from investing and cash from financing. Capital Expenditure – refers to investments that the business makes in pursuing growth projects. The figure can usually be found in an asset account listed on the balance sheet, that is depreciated over time. While a high CAPEX to Operating Cash Ratio is generally a good sign for a growing company, an excessively high ratio may be a sign of trouble. 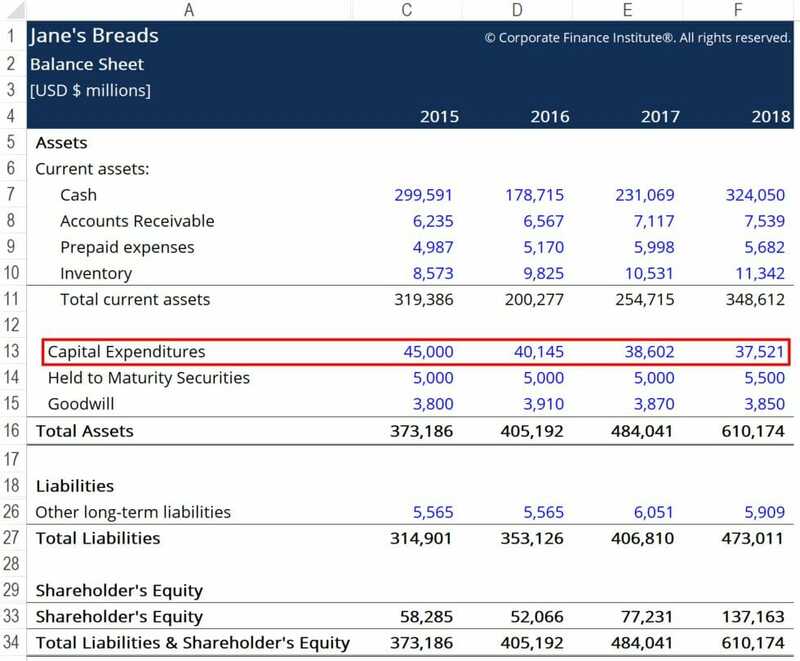 If a company is spending all of its cash in capital expenditure projects, it may run into liquidity issues at some point. If a company has to make periodic debt repayments or pay high fixed costs, it may be compromising its ability to make these payments if it invests too heavily in CAPEX. Conversely, an excessively low ratio for a startup would indicate that it is not investing sufficiently in R&D, which may compromise the business’ ability to grow its revenues in the long term. Here, we see that Jane’s is pursuing a very aggressive growth strategy. In 2015 and 2016, Jane’s is investing more in CAPEX than it is generating from its operations; meaning that Jane’s is spending more than $1 in CAPEX for every dollar of operating cash generated. This is a clear indication that the business is utilizing other sources of capital, such as debt, equity, or retained earnings to finance its capital expansion projects. We see that the ratios are trending down over the time span displayed. This indicates that Jane’s is slowly starting to shift focus away from growth as the business matures. To better understand the financial health of the business, the CAPEX to Operating Cash ratio should be compared to a number of companies that operate in the same industry. If some other firms operating in this industry have higher ratios than Jane’s, we can conclude that Jane’s is doing a relatively good job of pursuing its growth strategy.